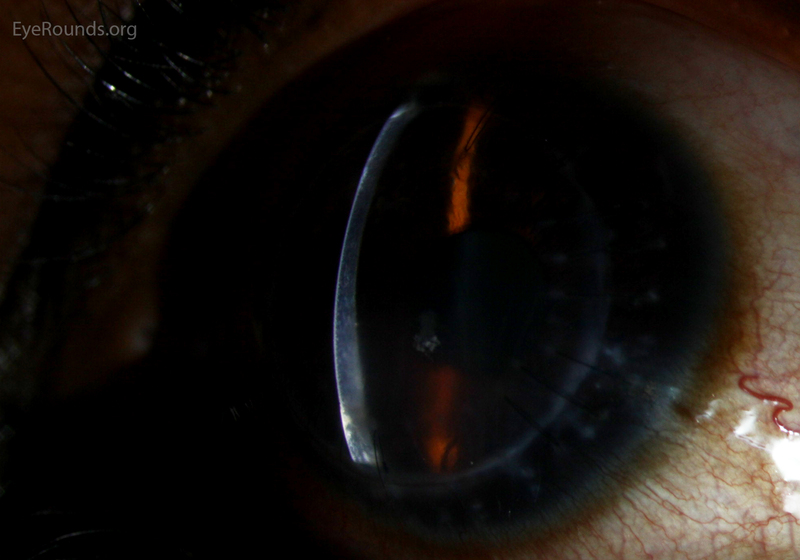 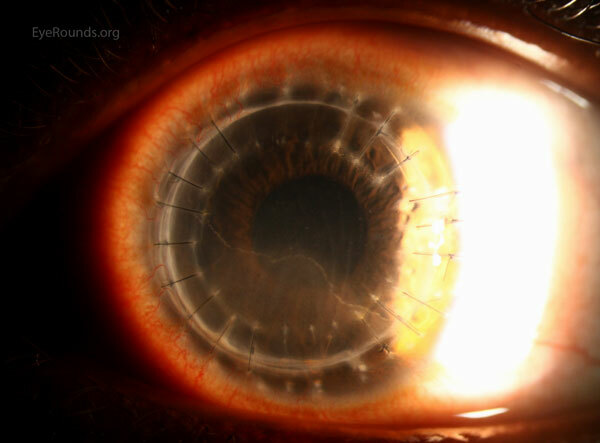 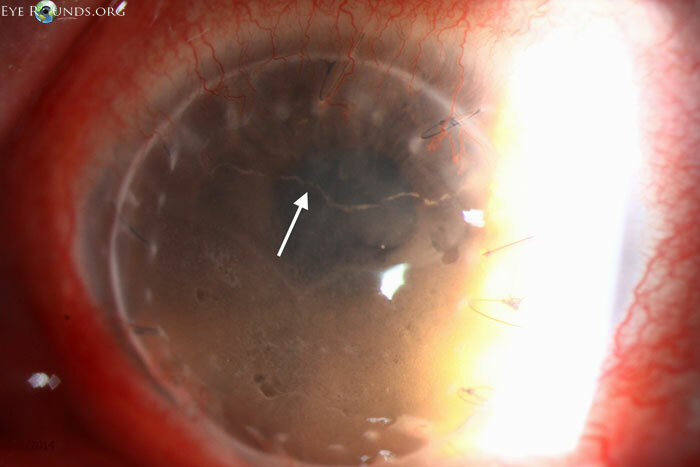 A 24-year-old female presented with acute allograft rejection after self-discontinuing her topical steroid drops after penetrating keratoplasty for keratoconus. 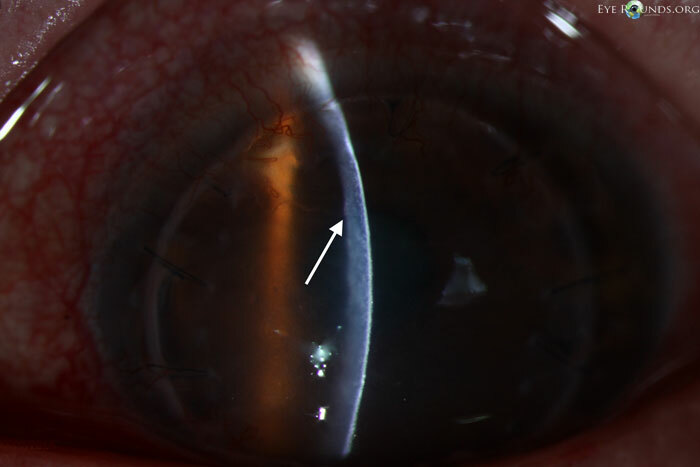 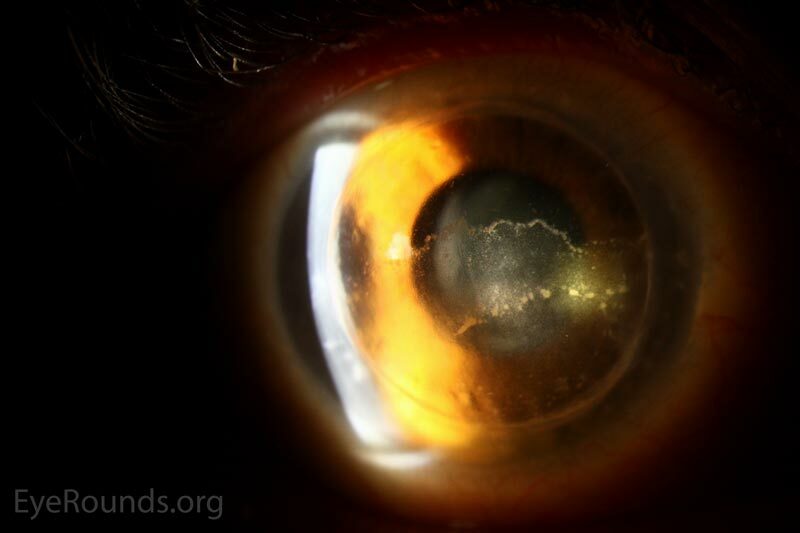 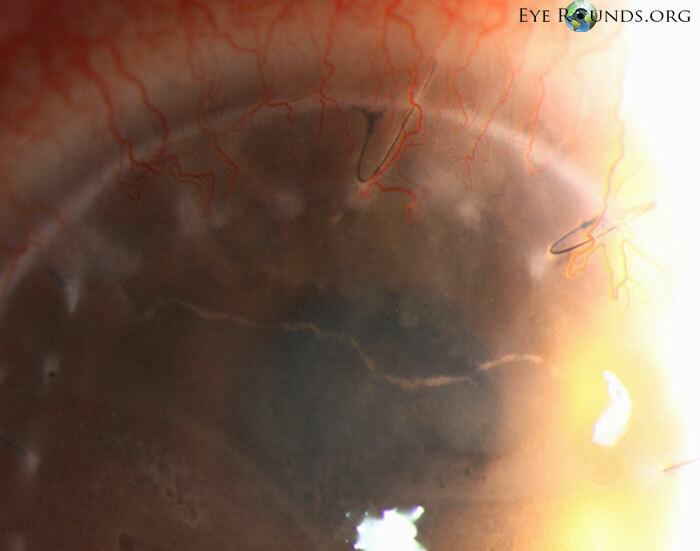 The figure shows corneal decompensation with inferior corneal edema and haze and a faint horizontal endothelial linear opacitiy which is more distinct with sclerotic scatter lighting. 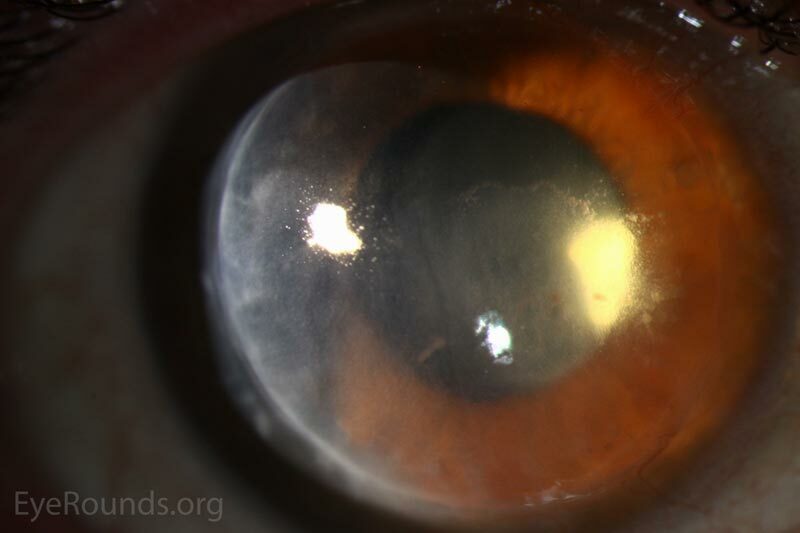 This opacity is a rejection line consistent of white blood cells on the endothlium and is also known as a Khodadoust line. 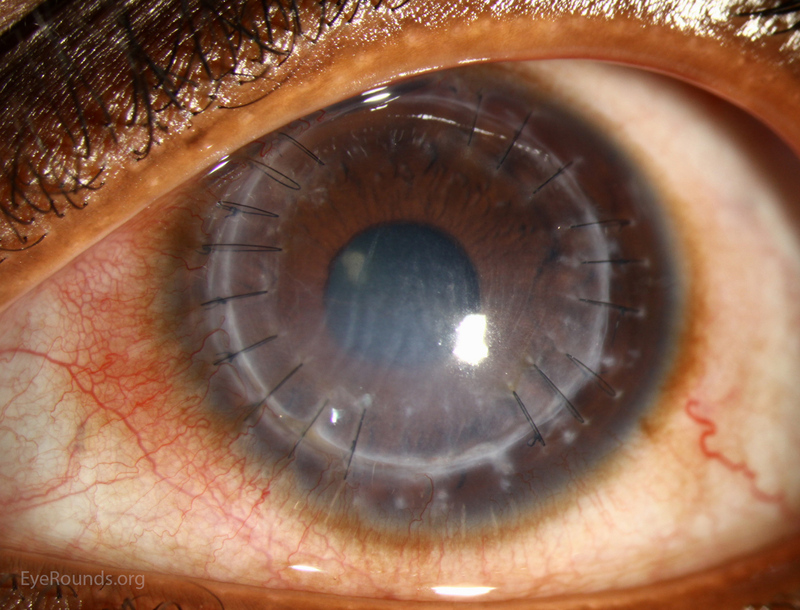 This sign represents graft rejection and if left untreated will march across the graft.